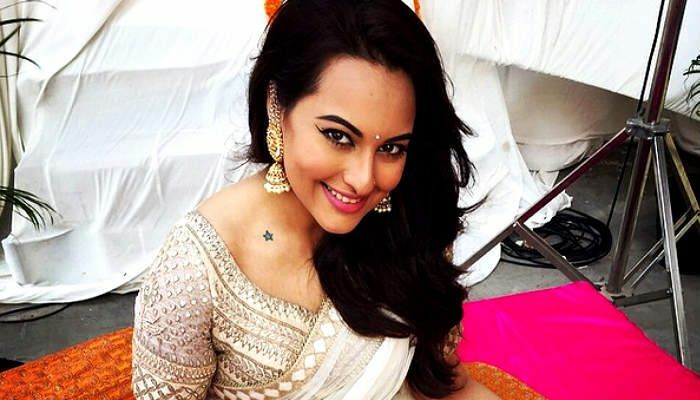 Bollywood actress Sonakshi Sinha is all set to make her singing debut with a music video. In fact, she has recorded the song titled Ishqoholic, for T series honcho Bhushan Kumar. As per the sources, Kumar liked Sonakshi's command on itunes and decided that they had to work together. The song that is more hip hop and very youth friendly is composed by Meet Bros.
"Sonakshi has a beautiful voice and the song has turned out to be very likeable and easy to hum. I am so glad we got a chance to work on something which binds the world together - music. Ishqoholic will make her fans see the unseen unheard side of her and cherry on the top is they will hear her rap too. The song will welcome Sonakshi to the music world easily." "The video for the song will be shot later this month, by Gifty whom I have worked with on the Desi Kalakaar number along with Yo Yo Honey Singh."